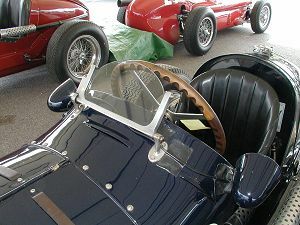 The identification plate of the Tipo 6CM. 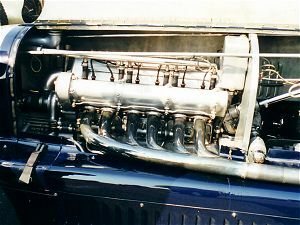 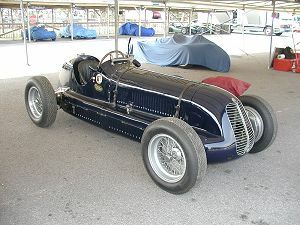 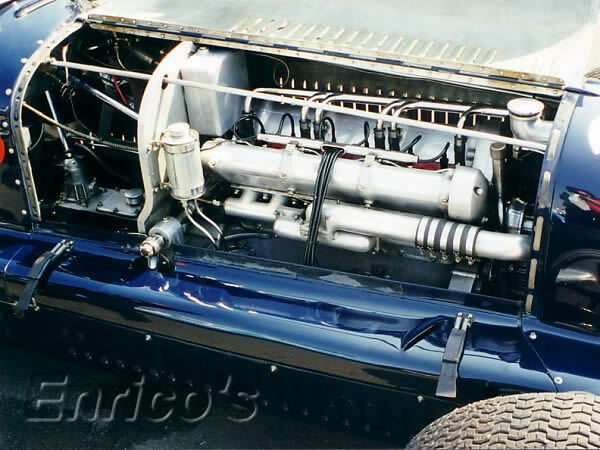 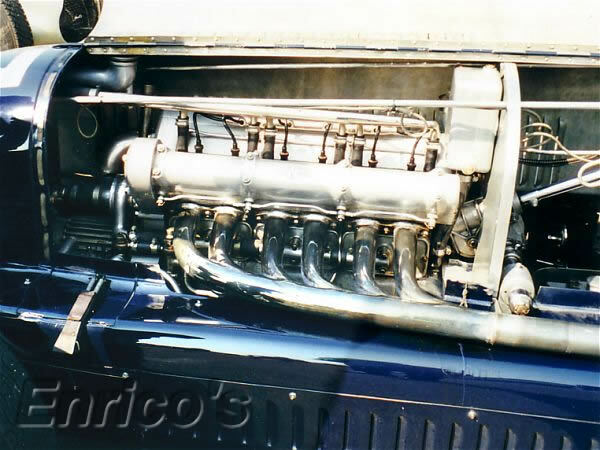 The Tipo 6CM (6 CILINDRI MONOPOSTO) serie 3, distinguishable by its more aerodynamic bodywork and its deeper radiator grille. 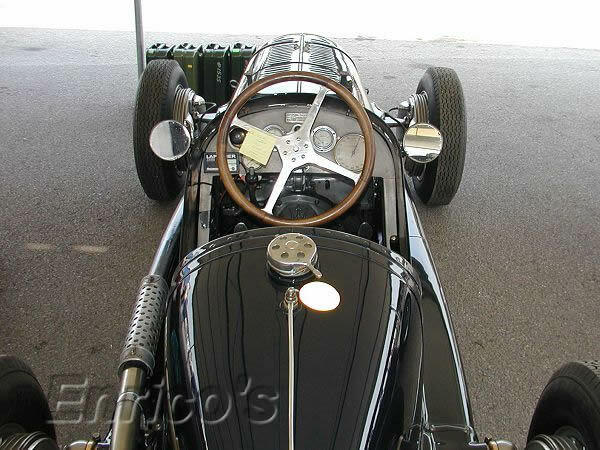 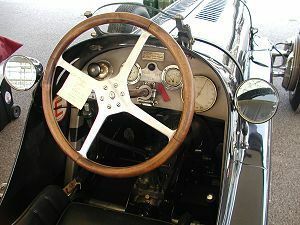 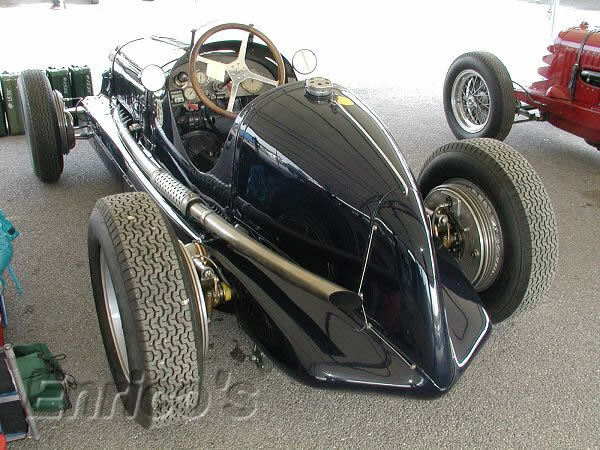 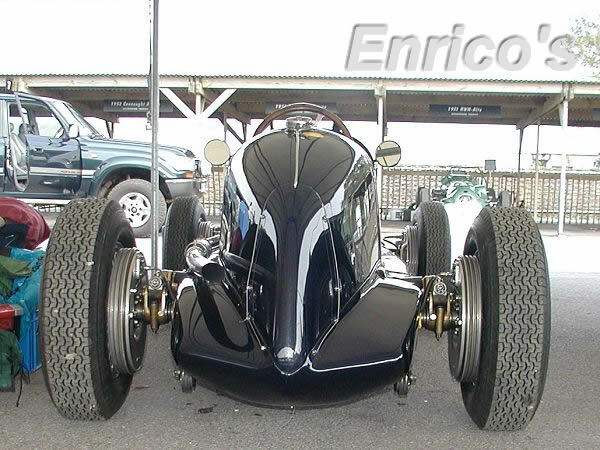 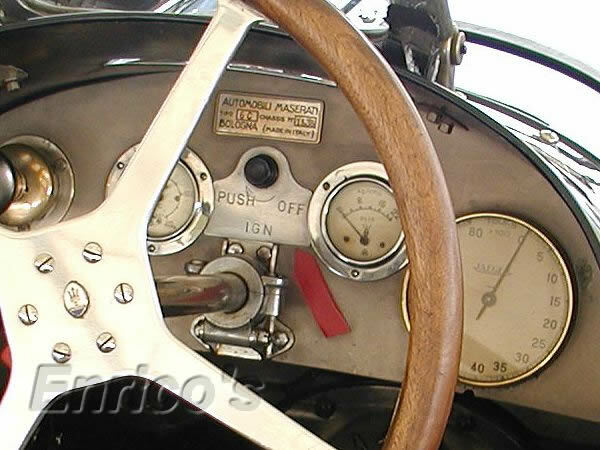 Produced between 1936 and 1939 its 1½-litre supercharged engine developed 175bhp @ 6600rpm. 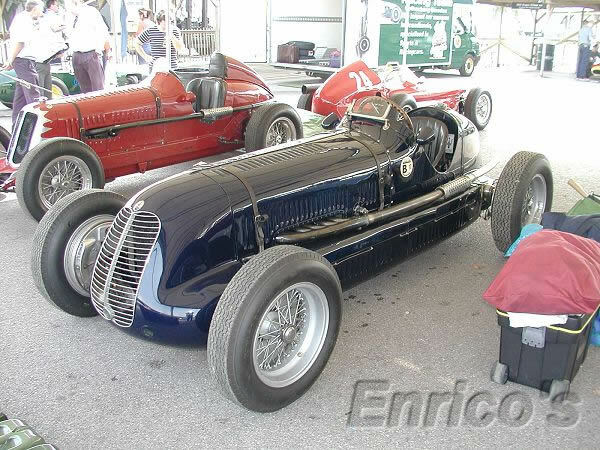 #1535 was one of 27 built and was sold to Mr. Frank McEvoy (AUS) in June 1936. 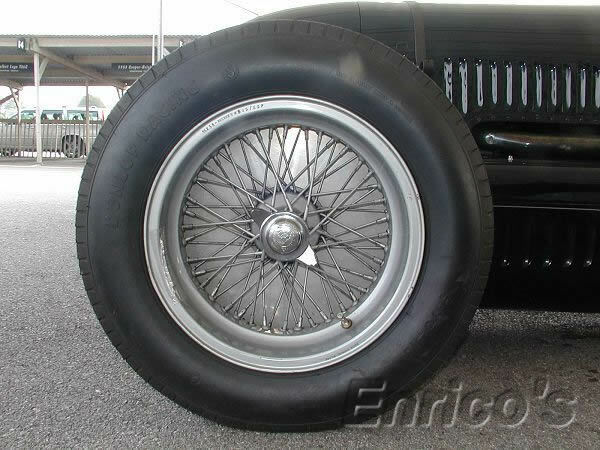 Wire wheels. 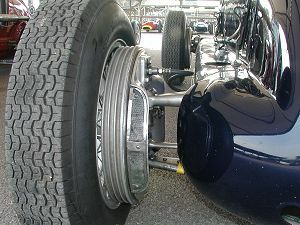 Note the huge drum brakes. 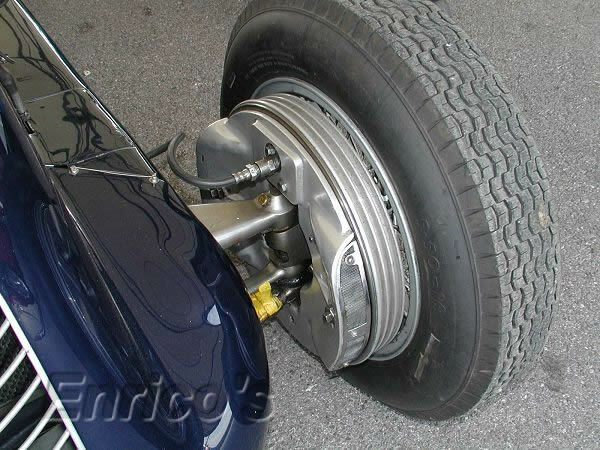 The front suspension and huge hydraulically operated finned and ventilated drum brakes. 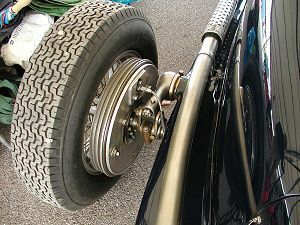 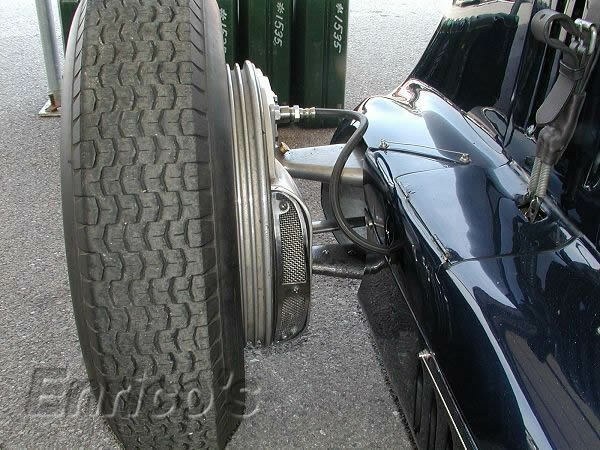 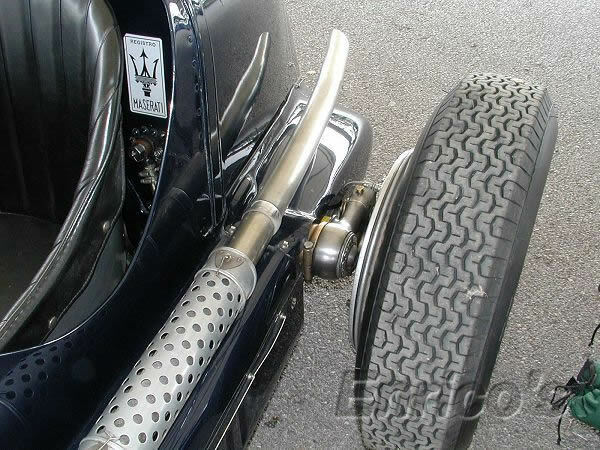 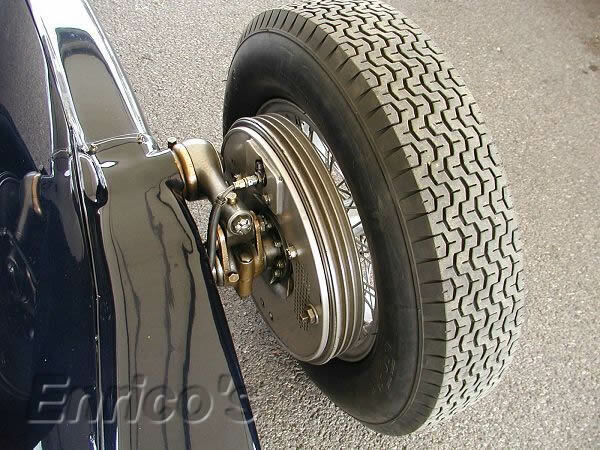 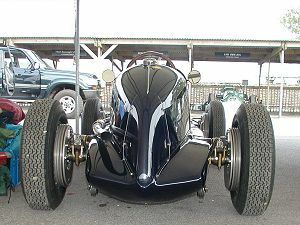 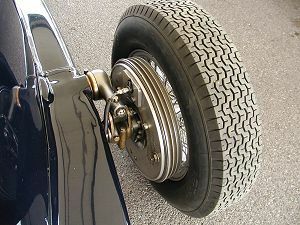 The rear suspension was by friction dampers and leaf springs (visible on the earlier models but concealed by the aerodynamic bodywork on the later models). 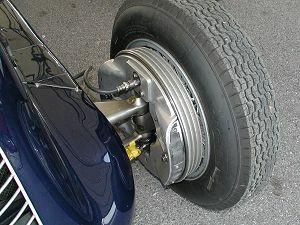 The ventilation outlet of the front drum brake. 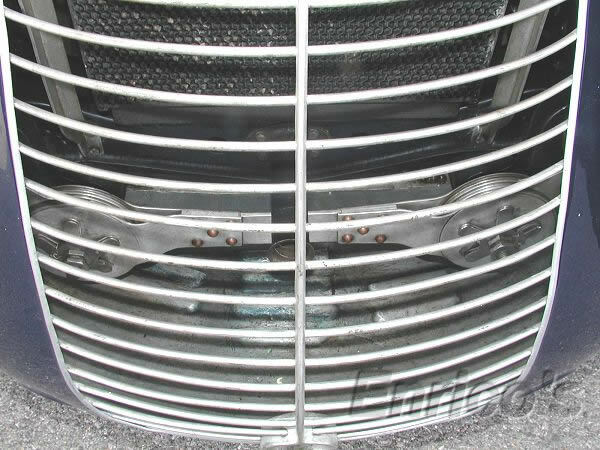 The exhaust pipe with driver's arm heat sheild. 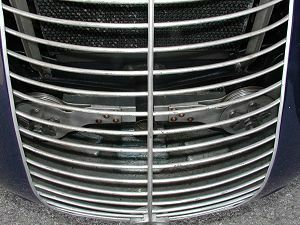 be seen through the radiator grille.